What is the best way to persuade someone to take action? Do our customers, clients, or patients believe that we are looking out for their best interests? These are just a couple of questions that successful professionals need to ask every day. Zig Ziglar's principles of success are easy to understand and apply, yet they have a far-reaching impact. By using his proven methods, you will be able to face your prospects with enthusiasm and confidence. "This book will arm you with all the tools necessary to become an extraordinary salesperson. You'll grow professionally and personally. 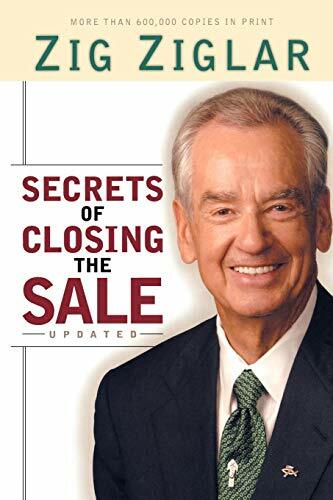 "-Nido R. Qubein, chairman, Great Harvest Bread Co.
Zig Ziglar, a talented author and speaker, has traveled over five million miles and worked with clients and corporations of all sizes, from Fortune 500 companies to churches, schools, and non-profit associations. He has written twenty-one books on personal growth, leadership, sales, faith, and success, nine of which have been bestsellers. He lives in Carrollton, Texas. ChristianBookbag / Beans Books, Inc.